Public Works Week 2018’s theme is “The Power of Public Works.” El Paso County will celebrate by welcoming the public to an Open House on Thursday, May 24 from 9 a.m. to noon at the Charles “Chuck” Brown Transportation Complex at 3275 Akers Dr. in eastern Colorado Springs. 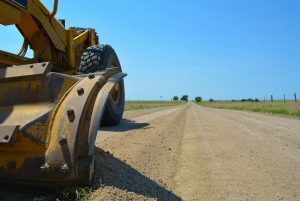 The Board of El Paso County Commissioners at its regular meeting Thursday, May 17, recognized the week of May 20 to 26, 2018 as National Public Works Week. 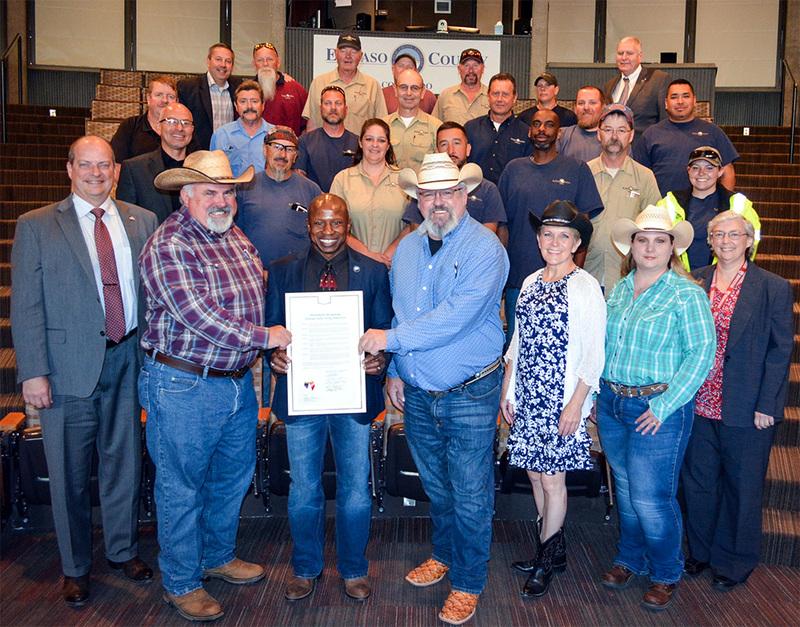 The Proclamation, introduced by Board President Darryl Glenn, acknowledges the contributions of the County’s Public Works professionals, who are frequently among the first responders during emergencies, are crucial to the “health, safety and comfort” of the County’s communities and act as caretakers of the El Paso County infrastructure that is important to an ever-growing community. The Open House will feature educational displays to help people learn about the mission of the Department of Public Works. The public will be able to have questions answered and get a demonstration of the County’s new Citizen Connect app that allows people to report problems such as potholes, dead animals in the road and more straight from their computer or mobile phone. Executive Director Jim Reid accepted the Proclamation for the Department of Public Works on Thursday. Reid turned to more than a dozen members of the Public Works team who were in the gallery at Centennial Hall in downtown Colorado Springs for the presentation. He bragged about the strong work ethic of the team and the positive feedback they receive. Reid gave an update to the Commissioners, highlighting his department’s work that included the six-month Highway Entry Level Program that trains inexperienced workers to work on road and bridge crews, the Mechanized Wildfire Response that cut fire lines and provide water to firefighting efforts, Fleet Services, and gravelling, anti-icing, and right-of-way mowing done by the Highway and Transportation Division. El Paso County Public Works is made up of more than 250 employees including the Highway and Transportation crew that maintains more than 2,100 miles of county roads, 22,000 acres of right-of-way and 273 bridges. And Commissioner Stan VanderWerf talked about the Fleet Division and the recent upgrades that Reid, Fleet Manager Nole Hopkins and their team have made to Public Works equipment and vehicles.